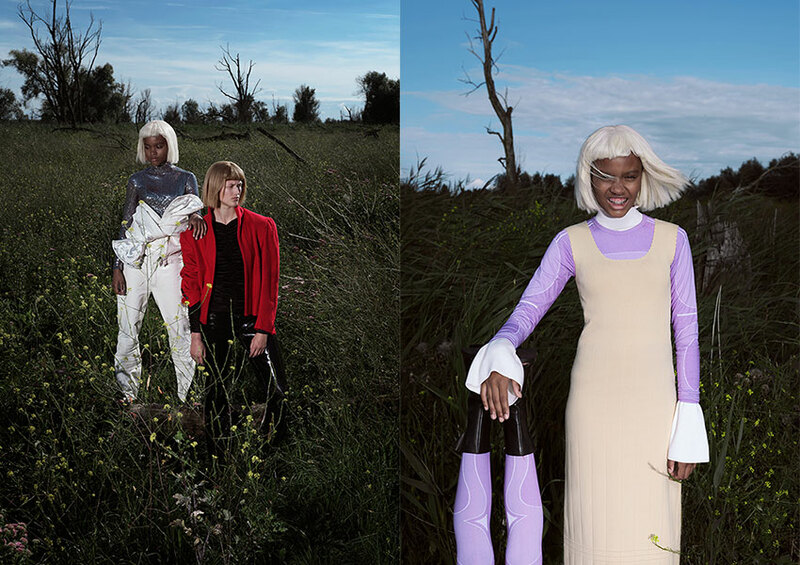 Photographer by Matt Parfitt and fashion by Ekaterina Razgonova. White suit by Ninamounah, sequined turtleneck by David Laport, blazer by Ninamounah and shirt by Veronique Leroy via Van Ravenstein. Dress by & other Stories, purple shirt by Weekday and turtleneck by Les Coyotes de Paris. Dress by & Other Stories, belt by Schueller de Waal, dress by & Other stories, sleeve by Calvin Klein 205W39NYC via Van Ravenstein and belt by Schueller de Waal. Sweater by Calvin Klein 205W39NYC via Van Ravenstein, turtleneck by Frenken and collar by Closet Children. 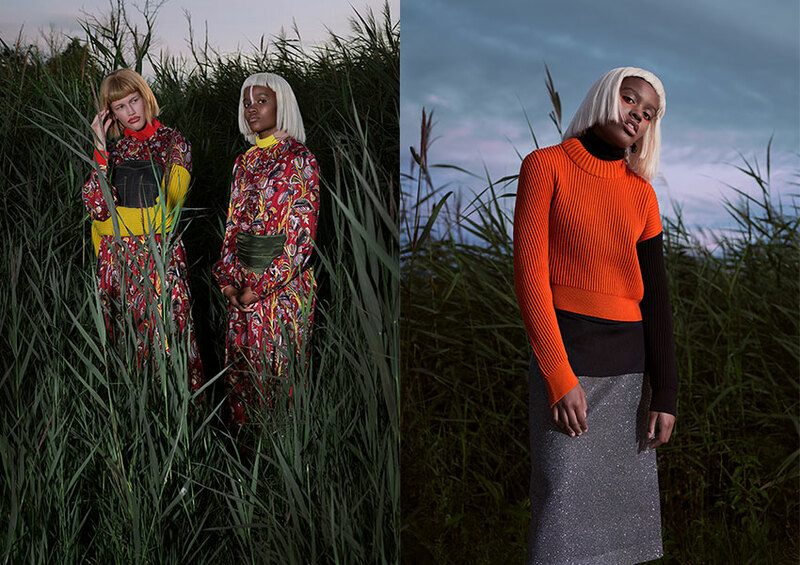 Sweater by Reconstruct Collective, turtleneck by Frenken and skirt by Junya Watanabe via Van Ravenstein. 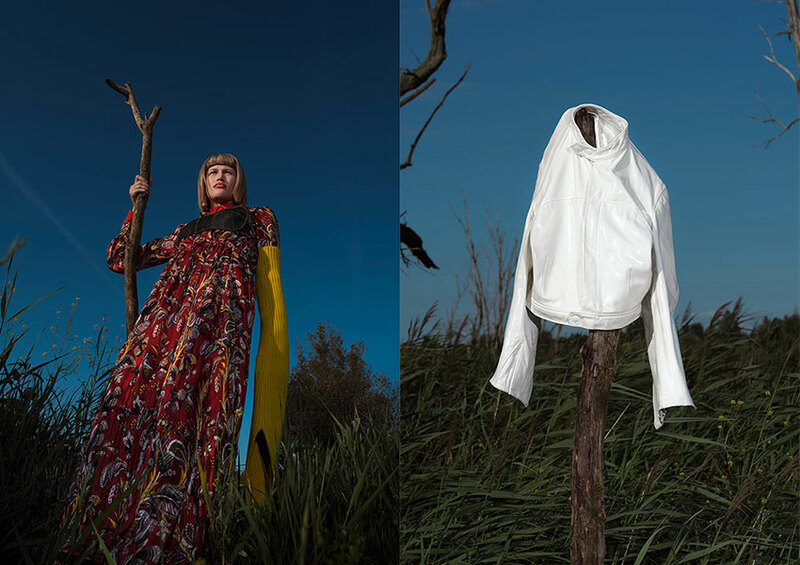 Coat by Frenken, dress by Barbara Langendijk, coat Frenken and dress by Ninamounah. Photographer by Matt Parfitt, fashion by Ekaterina Razgonova, art direction by Victoria Wendish and Kim Hoffenberg, makeup and hair by Jan Fuite , makeup and hair assistance by Karin Bos, photography assistance by Alberto Cecilio and modeling by Jesselyn@Known Model Management and Maaike. Creative info: Matt Parfitt, Ekaterina Razgonova and Victoria Wendish.